The new racing machine from MARKER with DIN settings up to 16. The incredible absorption properties and large contact surface to the ski boot make it almost unbeatable on rock-hard race courses, without compromising on protection. The magnesium heel housing, Xcell toe piece and Xcell heel feature a radical design and a Formula 1 look. A must-have for ambitious racers. The 3rd generation – the new Duke EPF comes with all the well-known and approved features and benefits from previous models, just bigger, better and 28% wider. The screw pattern is 10 mm wider than before, providing unbelievable power transmission – effectively a power booster under your feet. 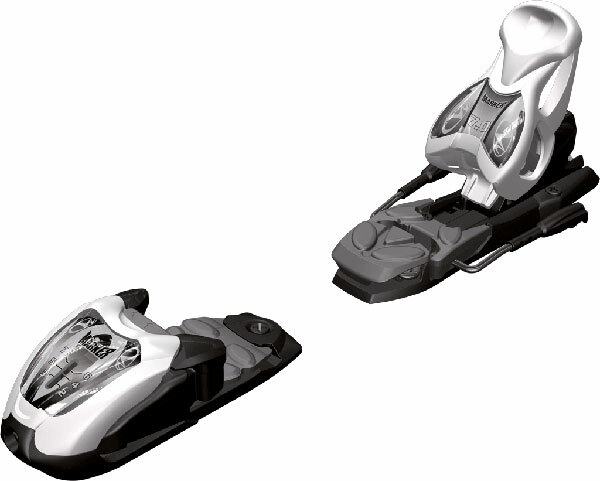 The Extended Power Frame allows the usage of totally new designed toe and heel systems and the wider connection to the ski requires a ski width of at least 88 mm. The Duke's little brother did some weight lifting and it's DIN range now goes from 4 - 13. 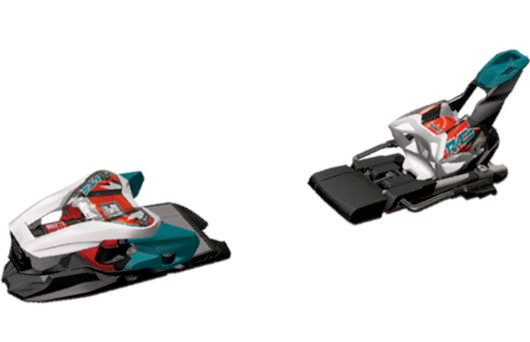 The Baron comes with the exact same features as The Duke, adapted to the lighter riders. So if you are light but like it heavy, you should meet the Baron. Whatever you desire, the Schizo is by your side. 60 mm of travel allow to adjust the perfect binding position for every condition within a minute. In need for a more backward position in powder or perfectly centered in the pipe? You got it; right here and now. The Schizo comes with Triple Pivot Elite Toe and Inter-Pivot Heel, providing a stunning performance in every condition. Recommended for skis over 76mm, available with 90 and 110 mm brakes. The lighter version of the Jester, providing the same features for younger and lighter riders. Stand height without ski is only 18 mm. The Griffon features no-pull-out screws and a centralized swing weight: cross-axis toe spring and compact mounting lead to a short binding, ideal for spins & twists. Recommended for skis over 76mm, available with 90 and 110 mm brakes. 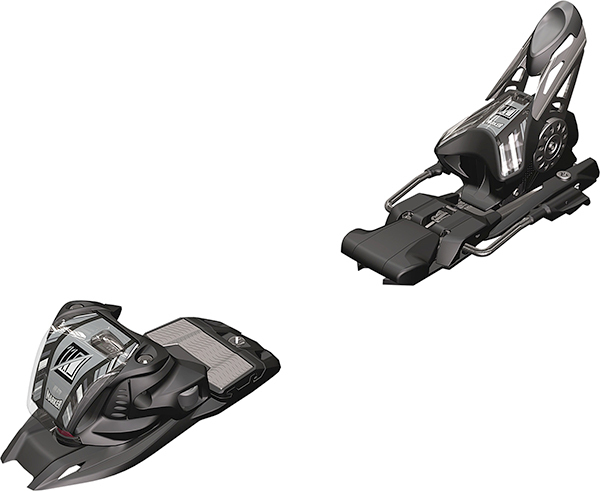 The heavy-duty touring binding, technically similar to the F10 but with more brawn. Roughly 60 grams heavier than its lighter sibling the higher DIN range calls for fast turns and steep runs and those who need that bit of extra power for tougher terrain. The brand new addition to the range with an excellent price-performance ratio, the ideal combination with flat on piste skis. The proven TwinCam heel provides great step-in comfort and riding safety. Completely re-designed toe and heel, delivering a stunning performance for the young and light-weight carving novices. All well-renownend Marker features with proportions adjusted to kids' dimensions. 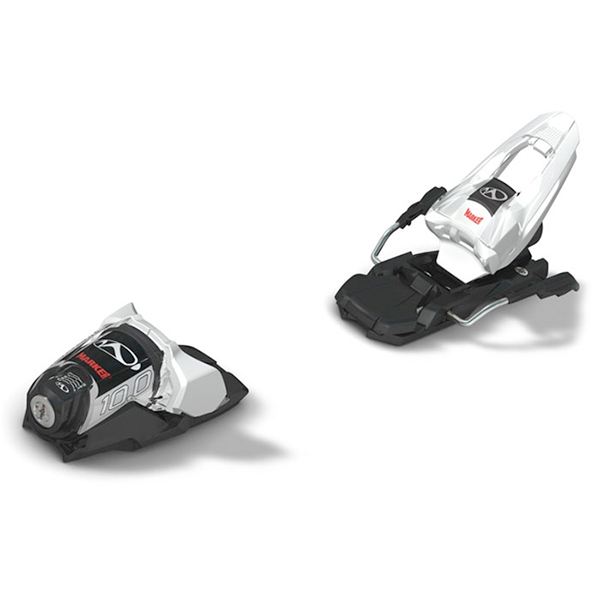 Thanks to the redesigned heels Marker offers the lightest junior bindings on the market! The M 7.0 EPS comes with EPS and Active AFD gliding plate as well as with Quick Adjust Compact heel and the Biotech system.